See what our Patients think of PPT by reading multiple Testimonials and Physical Therapy Reviews! The entire staff was extremely nice and cared about my well being. I'd strongly recommend them to anyone in need of Physical Therapy. Very much enjoyed my therapy while I was there. Staff made me feel comfortable and the therapist was very good at his job. I would return here, if I ever had another problem. My shoulder rehab was so much better then anticipated thanks to the fantastic care and personal service from everyone at PPT. I would like to express my appreciation to the physical therapists and staff that helped with my Hip Replacement recovery. Your entire staff is professional and courteous from the front desk to the exercise room. My experience at Performance Physical Therapy was gratifying as my level of pain upon movement was successfully treated. All staff members were always polite and professional. I would recommend Performance PT to anyone who needs therapy. The fact is that you go to physical therapy to feel better. As a patient, you can go wherever you choose. But how do you make the best choice? with staff that is committed to ensuring every detail of your experience is of the highest quality. It is not just about the biggest office, or the most offices in town. It is about the connection you form with the person whom you trust with your health. It seems since my mid-to-late forties arrived, so did more varied physiological problems which were best alleviated via physical therapy. I’ve not been a stranger to physical therapy facilities in PA & DE and must honestly say that finding Performance Physical Therapy & Fitness (PPT&F) has been the best, most positive & rewarding thing that has come from my physical therapy requirements. With all the physical therapy I’ve had, PPT&F is what I call a “hidden gem”. I’d been to many places and as I’ve matured, I’ve become more discerning where I spend my hard-earned money and fully know I get a better return on my investment at this facility than at any other one previously tried. From my initial visit almost a decade ago I could tell this place was different. While you have to complete the standard paperwork, that is the only thing that is standard about PPT&F. I don’t know how they do it, but they hire physical therapists that truly care about your progress and want to get you back to your healthy self, never rushing you or having you perform an exercise that “doesn’t feel right”. (Please don’t misconstrue this to mean you can slack here-au contraire-while there is no pressure to perform above & beyond your abilities, the therapists will encourage you to at least try an exercise while watching you so they can offer (postural) alternatives to the way an exercise might be normally be done, to alleviate any discomfort. For this present visit, I went in thinking I knew the modalities they’d perform as I’d been here twice before (years apart) for the same problem caused by separate accidents. I was surprised this treatment was totally different to previously & was honestly skeptical it’d work as well as in the past. This new method enabled me to have better range of motion quicker & with less impact on my daily activities. This really impressed me because I know I’m not as limber as I was the first time I was treated for this problem (PPT&F can teach this old dog new tricks!). I like that PPT&F keeps realigning (my) therapy to what I’ve told the therapist I felt muscularly since the last session, as well as keeping up with the latest innovations on the muscular-skeleton system. This dynamic is very important to me. They do not shy away from any questions or concerns I present; if they don’t have an immediate answer, one is provided quicker than anticipated. Their employees are very personable and accommodating: For this reason as well as the aforementioned is why I shall always return to PPT&F for any physical therapy requirement I may have. I injured my back so badly that I could not stand or sit or walk. I initially went to a walk-in clinic on a Sunday. I saw my primary care physician four days later. I arrived at his office on crutches. In addition to pain medication, he prescribed physical therapy. I arrived at my first appointment at Performance Physical Therapy my trusty crutches. I proceeded to engage in a series of 18 PT sessions over the next 9 weeks. In most of those sessions I interacted with John Bradley. John was able to quickly diagnose my concoction of back issues, which were later confirmed via an MRI. They included a herniated disc plus Grade I spondylolisthesis and severe bilateral foraminal stenosis. By my third visit, progress was clear (and a relief). It was slow, steady progress that took me from crutches and considerable pain toward my personal goals for recovery. I achieved most of my aggressive goals within my time frame, and I’m on target to even get back on the golf course before long. John has taken me from a pit, in which I was wallowing and wondering whether I would ever walk without pain again, to an upward sloping path where I am progressing toward painless walks of a mile and more, and moving closer to again having the pleasure of searching for my golf ball in the rough or the trees for nine holes of golf. I am thankful for John and for Performance Physical Therapy. I hate to exercise! After several issues which required therapy, I decided I needed to develop a regular exercise program. After 10 plus years of exercising several times a week, I no longer need therapy on a seasonal basis. Last year I needed a knee replacement and I had a very successful experience. I attribute that to the fact that I was in better shape physically because of exercise. John, Steve and the staff at Performance Physical Therapy and Fitness, were very supportive and I know whenever I need help they are there with advice and a of program if needed. I still can’t say “I love to exercise,” but it has become a part of lifestyle and I like what it has achieved for this 70 year old body. I came to Performance Physical Therapy to rehab a surgically reconstructed ACL that I tore while skiing. My first appointment after surgery I was unable to complete the exercises set forth in the standard post ACL rehab plan. Without hesitation, Meghan quickly reworked my plan and got my knee moving using a different approach. Through out my entire physical therapy course she proved to be extremely knowledgeable, compassionate, and determined to get me back to my pre-surgery range of motion. She knew when to push me through the pain to strengthen my knee but also knew when something just wasn’t quite right and referred me back to my surgeon. Meghan reworked my therapy regimen at every visit to ensure it was appropriate for how I was progressing. Even when I wouldn’t tell her, she knew exactly which exercises were getting too easy and which were a little too difficult. After I completed my therapy course, my surgeon was extremely impressed with my mobility and range of motion. I scored in the 96th percentile for post ACL repair mobility. All of the staff I encountered at PPT was amazing. They all know my name and made it a point to ask me how I was doing that day, even it they were not working with me. They took me in and treated me like family, which makes all the difference when you are experiencing the pain of rehabbing an injury. They truly were able to take a life altering injury and rehab me to a where I am stronger now than I was before the injury. I would highly recommend PPT to anyone who needs therapy! Over the years I have been using Performance Physical Therapy (PPT) exclusively for my physical therapy needs until a shiny brand new physical therapy practice opened in the area and beckoned like an ice cream sundae on a hot summer’s day. I swallowed hook line and sinker, called the “new guy on the block” made an appointment and after my first visit, knew I had made a huge mistake. Needless to say, I returned to PPT where they welcomed and evaluated me with their usual expertise, kindness and compassion. After one visit I knew I was back home and walked away with less back pain than I have had in two months. PPT always asks questions, listens, thinks and because of their high level of expertise and experience always, without fail, manages to bring me back to pain free full functionality. Thank you PPT for your commitment to excellence. An ice cream sundae sure tastes good, but being pain free…well, that’s the cherry on top! 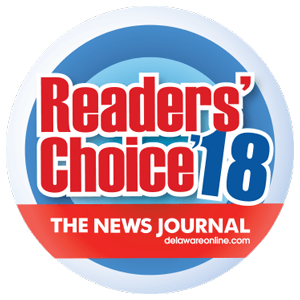 I highly recommend Performance Physical Therapy in North Wilmington to everyone who is seeking the best and most comfortable environment for physical therapy. After being referred for therapy, I was concerned about the quality of treatment I would receive. I wanted an environment where I felt they would seek to understand me, and provide a treatment plan and services that would make me feel much better and that I could fully understand. The degree of personalized service I received was outstanding! The team there, Steve, Angela and Maria are extremely knowledgeable, friendly and encouraging. Because of their efforts and the information they provided, I am feeling much better. They are wonderful, and made my PT experience the absolute best! Sending a heartfelt shout-out and many thanks to everyone at Performance Physical Therapy + Fitness on Foulk Road in North Wilmington — Steve Rapposelli and the ladies there (Angela, Courtney and Maria) have helped me tremendously over the past couple of months. I’m standing tall and walking well (all while getting my core muscles strong!) and I so appreciate the personal service, encouragement and kind words I received every time I went. I do “feel better” and highly recommend PPT for anyone in need of physical therapy services. I wanted to reach out to you and say thanks for your great work in getting my recent shoulder injury back to 100% function. My family is a “frequent flyer” of your PT program as both my sons have been to you for wrestling injuries; one for a hip flexor strain and the other after shoulder ligament surgery and I’ve twice come to you for shoulder issues. I’m not proud of our multiple visits but am glad that your program has enabled the three of us to regain complete functionality. Though your office is over a half hour drive, the attention that you and your staff direct to the exercises and treatment, the quality of your facility and the post care guidance that you give for ongoing supportive activities have make the travel time an actual investment. So once again, my family and I appreciate your services resolving our initial problems and equipping us to maintain full functionality. Thanks to you and your team!! You replaced my right knee last fall. I thought it appropriate for me to give you a progress report of sorts. I also wanted to thank you for referring me to Performance Physical Therapy in Hockessin. Working with John Bradley and his staff has really been great. They do their jobs in a highly professional manner, but are friendly and fun to be around. It has made the required therapy something I looked forward to rather than dread. My wife and I recently returned from a two week vacation. On that trip I walked 16-1/2 miles, biked 56 miles and played five rounds of golf. I did all this with essentially no pain in my repaired knee. To date I have walked over fifty miles to rehab my knee and body since receiving the okay to start walking in mid February. You did a fine job of installing the hardware and they have helped my body assimilate it. I really cannot thank the people at PPT enough for helping getting me back on my feet again. I have been treated at Performance Physical Therapy for more than a few sports injuries and physical ailments over the past 6 years. I can not say enough praise for the care I have received from the therapists and their staff. I have avoided knee surgery by following their instructions and Performance PT got me back on my feet and running my first half marathon. As a Registered Nurse I have had the opportunity to assess the quality of care given by many health professionals over the years. Performance PT is by far more superior than any other care I have witnessed both as a nurse and a patient. Care is always given in a very professional manner but also with a bit of humor to help ease the pain. Thank you! Having been helped recover from several injuries, I have been a BIG fan of Performance Physical Therapy for a very long time. This past year I had knee surgery and naturally turned to PPT when I needed help and advice. There is a special feeling in this place tucked away in Hockessin, Delaware! From the smile that greets me when I come in the door, to the wonderful physical therapists and other staff, I feel cared for and cared about. I would happily recommend Performance Physical Therapy! 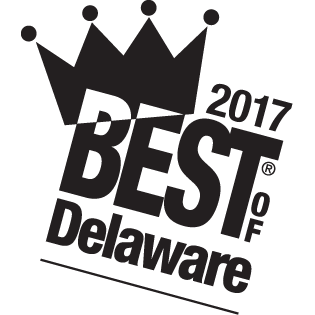 It is the best kept secret in Delaware! What I have found that is very unique to PPT that is not present at other PT practices is their focus and commitment to my total well being. Not only was the physical therapy exceptional, but their concern and caring about how I was feeling, listening to me and reassuring me that I would get better was exactly what I needed. If you are looking for exceptional physical therapy, caring and committed staff I highly recommend Performance Physical Therapy (PPT). I was impressed with the seamless communication between Kim and Meghan, regarding not only Kim’s initial diagnosis, but my ongoing treatment. Never did I have to bring the other “up-to-speed” on my previous appointment. I’m certain that is an expectation of all the therapists, but I want to make the point of how comforting that was to me. This also includes several visits with John. All of this to say how pleased I was with my care at PPT&F. I would name everyone that I came into contact with, but that would mean I’d unintentionally leave someone out. So, thanks to all. Oh – and one last thing. Did I tell everyone I know about my great experience with PPT&F? Sure did. Read More Reviews & Write One Of Your Own!